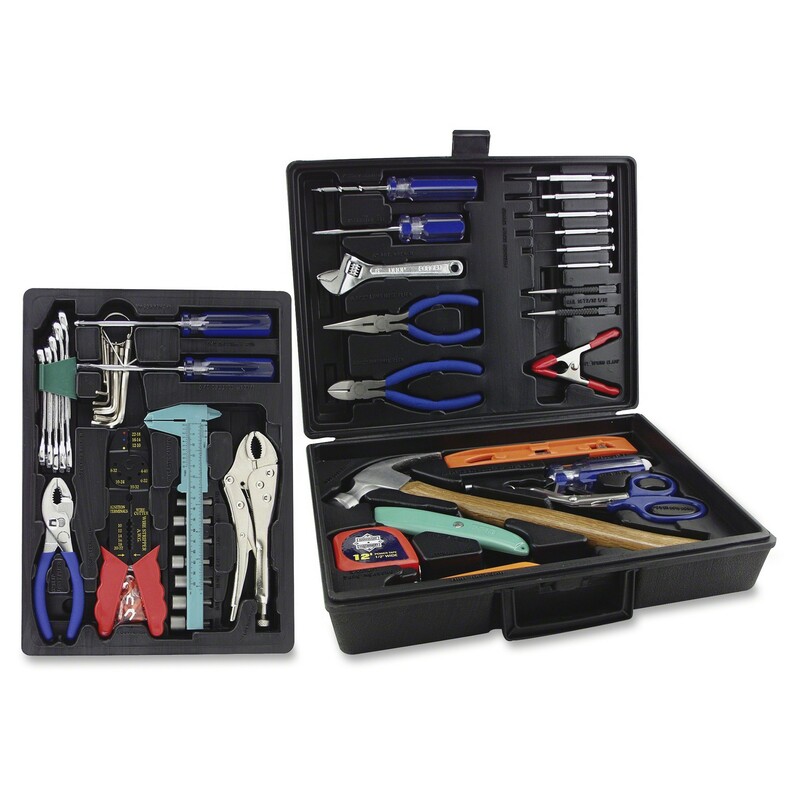 Tool kit includes a large variety of high-quality tools in a tri-fold molded case. Tools are triple chrome-plated, drop-forged and rust-resistant for reliable performance. Metric and SAE sizes ensure you always have the correct tool for repairs. Tool set includes raised panel combination wrenches with clip, SAE hex key ring, metric hex key ring set, slip joint pliers, locking pliers, slotted screwdriver, Phillips screwdriver, plastic caliper, nut drivers, crimping pliers, terminals, wood-handle hammer, power tape, utility knife, utility knife blades, mini hacksaw frame, hacksaw blades, magnetic bit holder, 25mm bits, torpedo level, scissors, adjustable wrench, long-nose pliers, diagonal pliers, nail sets, precision screwdrivers, scratch awl, screw starter, spring clamp and molded case.